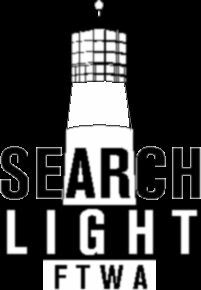 SLBBS Support is for any Searchlight BBS or Spinaker Support. SLBBS Support is not connected with Telegrafix in any way and does not speak for Telegrafix or be held accountable by Telegrafix nor can be held liable for any action that Telegrafix has done, is doing or will do in the future. Telegrafix is also not responsible nor has any input for anything on this site. Ambroshia: Test of Time : . Come join the realm of spell casting and swordsmanship. Create your kingdom and one day challenge the 4 great avatars to control the world of Ambroshia! Supports Door32.sys and more! Makers of "darkness" lord style door game. Dark Lands door game. Dark Lands is a Freeware rpg game. It is still under development. Soon to be open-source. John Dailey Software is a long-time provider of incredible shareware focused primarily on BBS on-line development. Home of Dungeon Master, BRE, FE, FH, TAL, Global War, and many other software products. Those great BBS Doorgames by Nannette Thacker! MoonDust's Lord County Fair, Dr. Dread, Leviathan's Reef, Spiked, Don't Wake the Sysop, Punchline, Trekkie Tags, Jacob's Ladder, Door Fury, Door Rage, Phantom of the Catacombs! Serving the Online BBS Community Continuously Since 1989 With Quality Service, Support And The Largest Quality BBS Door Product Line In The World! Our 16-Bit products work on any BBS software platform capable of running Door programs. We also have a product line of 32-Bit Doors made specifically for the WINServer BBS platform. Home of the world famous VGA Planets BBS Door game / Internet play by email game.